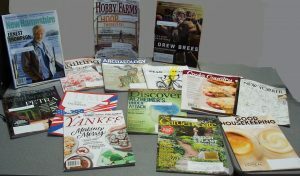 We have expanded our selection of periodicals. The above photo is just a small part of what we have to offer. Stop by and see what’s new!